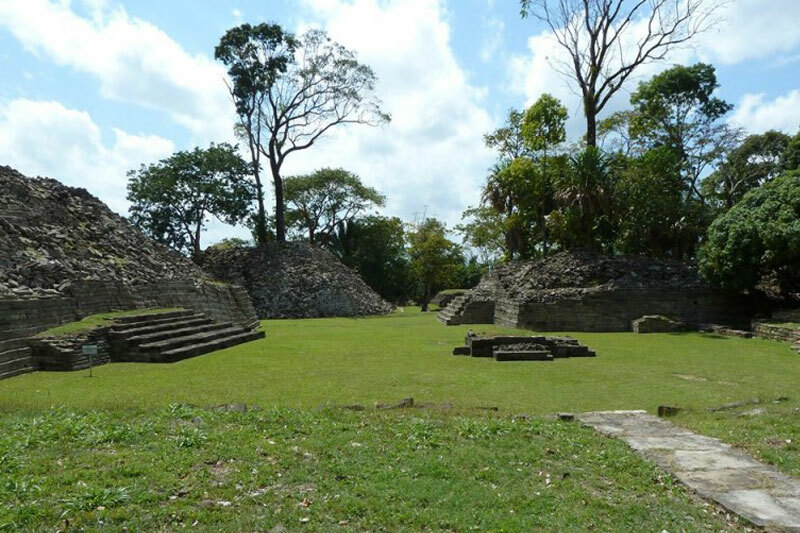 Nim Li Punit and Lubaantun are two of the most iconic and interesting ancient Maya sites in Belize. Once bustling cities with tens of thousands of inhabitants, the sites were abandoned for unknown reasons about 1,000 years ago and were slowly reclaimed by the surrounding jungle, only to be rediscovered in the past few decades. No one is quite sure what the original name was for the site now called Nim Li Punit, but its modern name means “The Big Hat” in the Mayan Kekchi dialect because of an enormous carving of a local king wearing a large headdress or hat. Nim Li Punit is located in the southern Toledo District of Belize about 25 miles (40 km) north of Punta Gorda. It is believed that the city was founded around the year 400 AD and was abandoned at the end of the Maya Classic Period circa 900 AD. 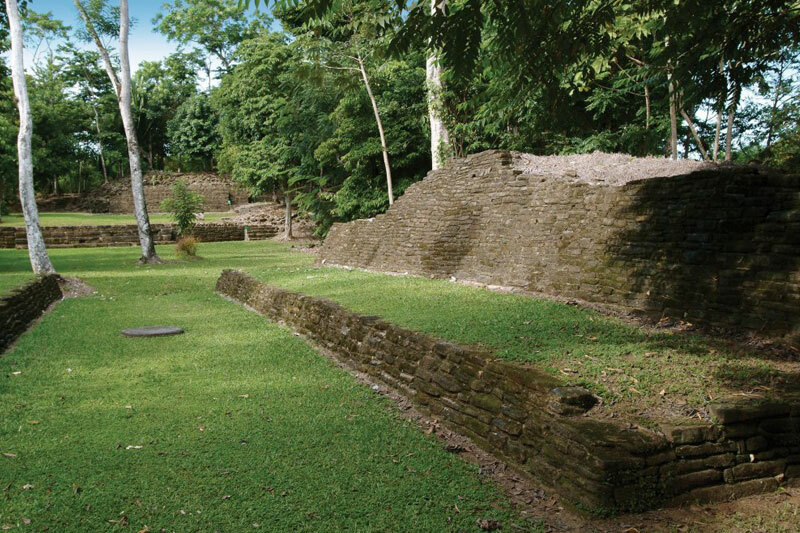 Compared to other ancient Maya cities, Nim Li Punit was of about average size. Archeologists have excavated the city’s core, revealing three large plazas flanked by pyramids, the tallest of which is 40 feet (12 meters) high. The most iconic feature found at the site is a long row of 26 carved stelae that depict the former rulers of the city, including the king with the largest hat that gives the city its current name. Lubaantun is located fairly close to Nim Li Punit, making the two destinations an ideal choice for a day trip. Lubaantun is located about 26 miles (42 km) northwest of Punta Gorda in the Toledo District. Lubaantun’s signature feature is the style of architecture used throughout the site, large stone blocks made from black slate (as opposed to limestone used elsewhere in the region) that are assembled with no mortar. The original name of the site is unknown, but the modern Mayan name Lubaantun translates as “A place of fallen stones” in English. Lubaantun is perhaps most famous as the purported location of a crystal skull found by Anna Mitchell-Hodges. Archeologists are unsure as to what role Lubaantun played during the time of the ancient Maya, but it is believed that a large raised platform that straddles two small rivers was used as a military fort. Other interesting features at Lubaantun include pyramids with rounded corners, a ball court, and dozens of pottery figurines. Travelers wishing to visit Nim Li Punit and/or Lubantuum can book their tours with Laru Beya.